Arthritis can be incredibly challenging to live with, especially when joints become stiff, inflamed and painful. But there are several natural ways to help manage the symptoms – from changing your diet, to taking supplements, and of course, practicing yoga. A regular yoga practice has been shown to have numerous benefits for arthritis relief, by improving joint mobility, helping with the management of stress and anxiety, and reducing pain. And as you all know, we are massive fans of yoga when it comes to benefitting you! We’ve collated 7 gentle yoga poses to help ease the symptoms of arthritic conditions – however, please consult your doctor before undertaking these exercises. Bridge pose is good for relieving stiffness in the back and hips, as well as improving overall posture. However, if you have any neck injuries, it may be best to avoid this pose. Supine twists are great for the spine, giving it a gentle massage as you hold the pose. Just remember to take it slowly, and to come out of the pose if it causes any pain. 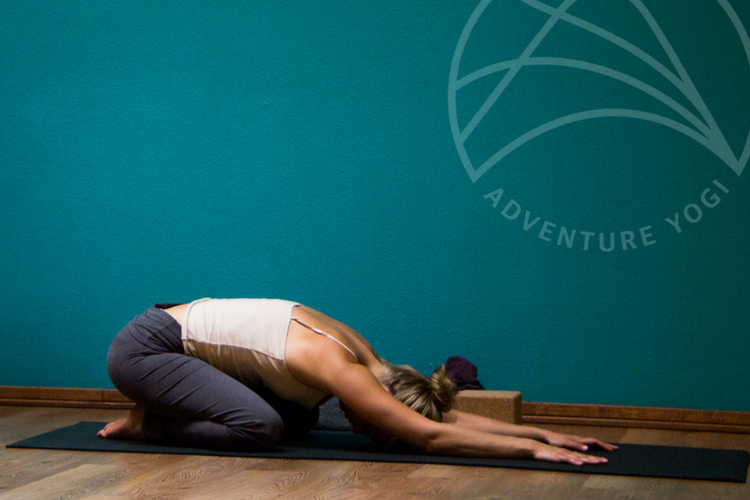 This pose helps to improve flexibility and lengthen the spine. It also provides a little bit of pressure for the wrists – just make sure you circle them afterwards to release any tension. Remember to go slow in your practice to reap the benefits. Child’s pose is a wonderful way to stretch out the lower back and hip flexors. The gentle pressure of your third eye/forehead on the mat also provides deep relaxation. Cow face pose gives an amazing all-round stretch, improving flexibility in the shoulders, arms, back and hips. The full posture also promotes good blood circulation to the knees and ankles, which can aid in reducing any swelling in those areas. Good for the mind and body! This balancing pose creates a sense of feeling grounded – which is great in times of stress or anxiety. Tree pose also helps to strengthen the leg and hip joints. One of our favourites – downward facing dog. This pose is perfect for stretching the spine and improving overall flexibility. If it causes shoulder or wrist pain, try placing your forearms directly on the floor to relieve tension in those areas. We hope these 7 poses are beneficial to you (or someone you know) for relieving arthritis symptoms. Remember to consult your doctor before undertaking any of these poses. Our expert yoga teachers can accommodate to your body’s particular needs on any of our wellbeing and yoga retreats. Click here to see what upcoming retreats we’ve got in store.